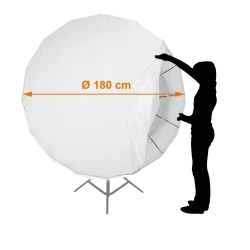 the mammoth between the softboxes: Terrific 180cm in diameter! Gigantic like a mammoth, persistent like a mammoth, tough like a mammoth! 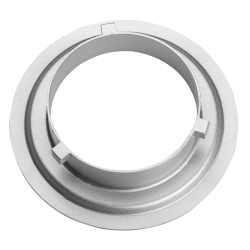 And by far not extinct, but just on the way to capture the territory with great steps! 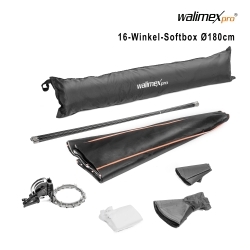 The 16 Angle Softbox with incredible 180cm diameter is the new star in the walimex pro sky! 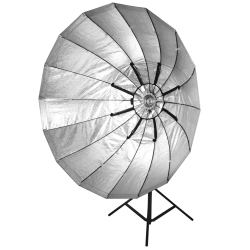 It provides the right light not only in product and portrait photography, but also in beauty photography and leads to professional results. 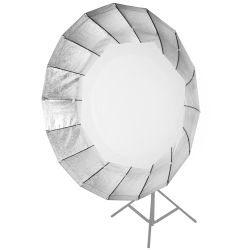 In contrast to normal Octagon Softboxes, the almost circular form leads to a more natural light and particularly delightful eye reflections. 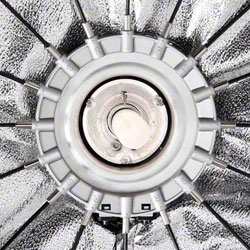 Benefit from these features! 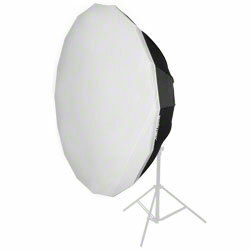 The convenient bracket ensures, that the huge Softbox can be tilted without problems. 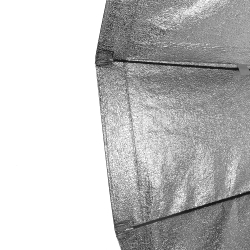 The silver coating on the inside of the Softbox as well as the front and rear diffusors are established, but nevertheless further very important characteristics, which make this product to what a mammoth stands for: An impressive giant! 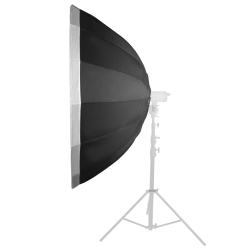 Please note, that due to the construction of the diffusor, the Softbox can only be used for background lighting to a limited degree.